The trip was amazing! The tour guide and driver were very kind and patient, and the lunch was great and sufficient. 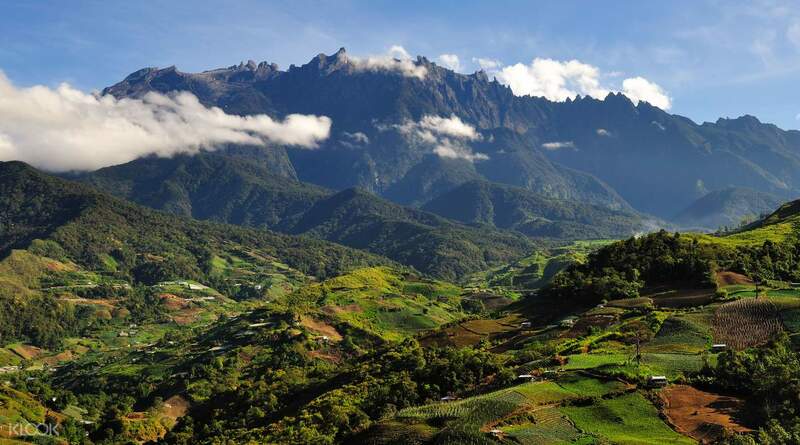 Pay a visit to one of the world's most stunning natural environments – Kinabalu Park, home to thousands of bird and animal species. Declared a UNESCO World Heritage site in 2000, it was the first park in Malaysia to be awarded the title. Stop at Poring Hot Spring, named after a species of the giant bamboo that grows in the area. Known for its sulphur hot spring baths, it's a great spot to relax after the long journey. If you prefer to keep going, leave the bath for later and enjoy a visit to the Butterfly Farm. 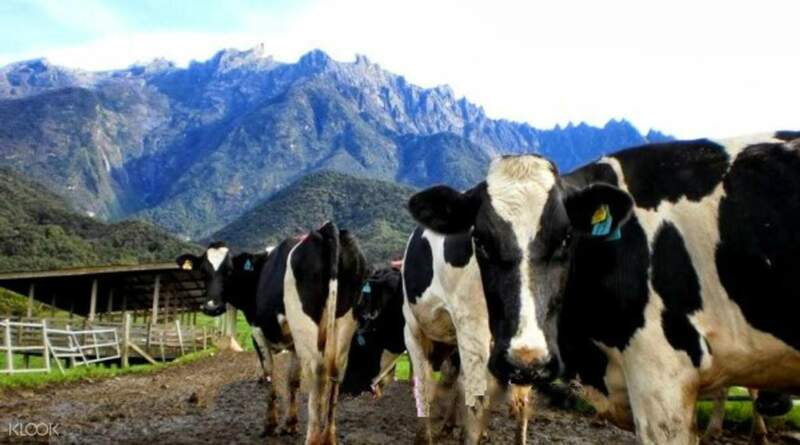 Another option is a longer tour, complete with a visit to Desa Cattle Dairy Farm, where you will get to feed sheep and watch them graze in the fields. Thank you Klook and to our tour guide Chester and the driver. Good job guys. We enjoyed everything although Mt.Kinabalu is covered with clouds. The view is breathtaking and we cherished the moment we were there. We will definitely book again for our next trip. Thank you Klook and to our tour guide Chester and the driver. Good job guys. We enjoyed everything although Mt.Kinabalu is covered with clouds. The view is breathtaking and we cherished the moment we were there. We will definitely book again for our next trip. Thank you Klook for the smooth day trip arrangement! Enjoyed the road view so much. From Central KK to Kinabalu Park is 2 hours drive with 15 minutes stop in a souvenir shop overlooking the majestic Mt. Kinabalu. Just bring light jacket to warm yourself. Kinabalu Park is actually a botanical garden tour for about an hour. Then another 1 hour drive going down to Poring Hot Spring where the Canopy Walk is located (because I thought it's located in Kinabalu Park Botanical Garden). Wear here light clothing because the trek going up to Canopy Walk was a bit exhausting. And please be reminded that this is really not for faint hearted and with fear of heights. You will cross the 4 Canopy walks. The 3rd one was the highest and you will surely feel dizzy but just enjoy the walk and don't look down! Inclusive lunch was good. The tour guide is kind and does his work well. If ever I would visit again, I'll go for an overnight stay in the Kinabalu Park because the view of the mountains there were just wonderful! Thank you Klook for the smooth day trip arrangement! Enjoyed the road view so much. From Central KK to Kinabalu Park is 2 hours drive with 15 minutes stop in a souvenir shop overlooking the majestic Mt. Kinabalu. Just bring light jacket to warm yourself. Kinabalu Park is actually a botanical garden tour for about an hour. Then another 1 hour drive going down to Poring Hot Spring where the Canopy Walk is located (because I thought it's located in Kinabalu Park Botanical Garden). Wear here light clothing because the trek going up to Canopy Walk was a bit exhausting. And please be reminded that this is really not for faint hearted and with fear of heights. You will cross the 4 Canopy walks. The 3rd one was the highest and you will surely feel dizzy but just enjoy the walk and don't look down! Inclusive lunch was good. The tour guide is kind and does his work well. If ever I would visit again, I'll go for an overnight stay in the Kinabalu Park because the view of the mountains there were just wonderful! I gave it a 5 because of how awesome the tour was. We haven't got a chance to take a picture that much in Kota heritage park and poring hot spring because Maxwell is always in a hurry. He is informative and shared stories about the park and Mt Kinabalu U. But overall the trip was soooo nice and Maxwell lets us enjoy our moment in Desa Farm. I gave it a 5 because of how awesome the tour was. We haven't got a chance to take a picture that much in Kota heritage park and poring hot spring because Maxwell is always in a hurry. He is informative and shared stories about the park and Mt Kinabalu U. But overall the trip was soooo nice and Maxwell lets us enjoy our moment in Desa Farm. Driver was prompt and the guide (lavender) was excellent! 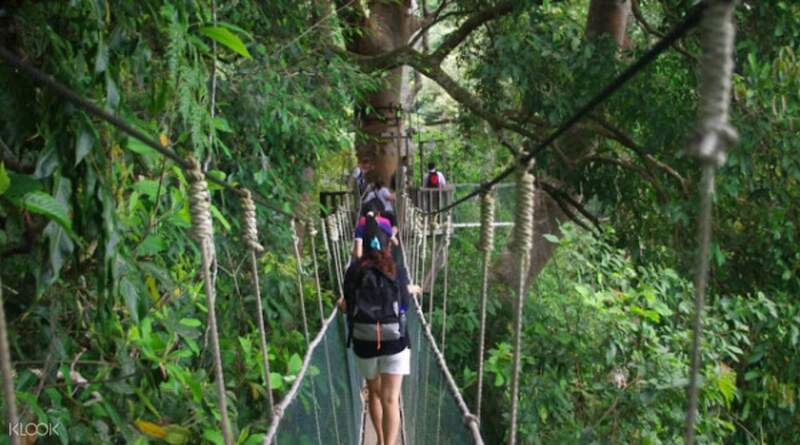 A visit to Kinabalu Park is a great way to learn more about the different plants and trees endemic to the area. There are good seasons to come, try to avoid it during or right after the rains as some plants and trees may be felled/ taken to the nursery after a heavy downpour. There's a little bit of a walk involved, so make sure you are capable of walking uphill for a few minutes in some sections. Poring Hot Spring was super relaxing, and a great way to unwind at the end of the activity-filled day. Driver was prompt and the guide (lavender) was excellent! 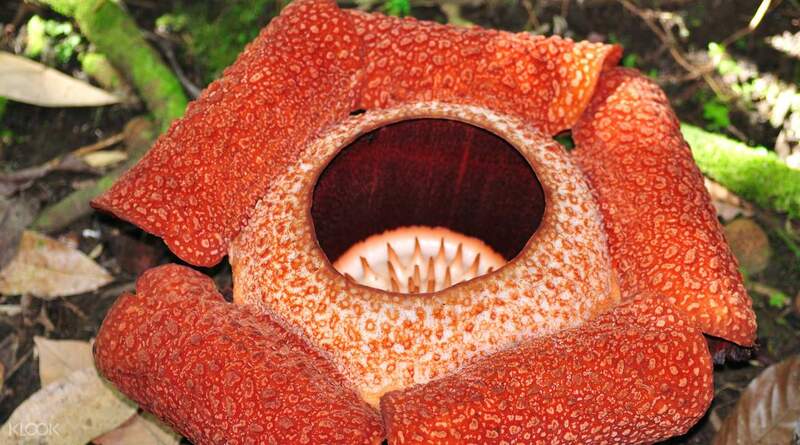 A visit to Kinabalu Park is a great way to learn more about the different plants and trees endemic to the area. There are good seasons to come, try to avoid it during or right after the rains as some plants and trees may be felled/ taken to the nursery after a heavy downpour. There's a little bit of a walk involved, so make sure you are capable of walking uphill for a few minutes in some sections. Poring Hot Spring was super relaxing, and a great way to unwind at the end of the activity-filled day. Everything went well, highly recommend this!! Love the farm most!! You should buy the milk, cheese and yogurt. The gelato was not worth it though, it’s just soft serve ice cream with too much sugar even worse than convinient store ice cream haha but make sure to bring a hanky/towel to cover your sensitive noses cause it’s stinky lol. Kinabalu park was not impressive, too touristy! Poring hotspring adventure course was cool. Side note.... it’s just that the tour guide maxwell was not too informative (dodged my questions and just googled it) and disrespectful... maybe he taught we are the same age (24) that he can joke around too much and bully us two girls. I think it’s not klook’s fault but just how the tour guide was too complacent as we were too nice. ALSO THE DRIVER WAS CRAZY FAST, IT WAS SCARY. Something to improve on i guess is how professional the guide/ driver is. Everything went well, highly recommend this!! Love the farm most!! You should buy the milk, cheese and yogurt. The gelato was not worth it though, it’s just soft serve ice cream with too much sugar even worse than convinient store ice cream haha but make sure to bring a hanky/towel to cover your sensitive noses cause it’s stinky lol. Kinabalu park was not impressive, too touristy! Poring hotspring adventure course was cool. Side note.... it’s just that the tour guide maxwell was not too informative (dodged my questions and just googled it) and disrespectful... maybe he taught we are the same age (24) that he can joke around too much and bully us two girls. I think it’s not klook’s fault but just how the tour guide was too complacent as we were too nice. ALSO THE DRIVER WAS CRAZY FAST, IT WAS SCARY. Something to improve on i guess is how professional the guide/ driver is. The lunch was really great. Its just fine though we didnt see something extravagant. It seemed that it was shortened because when we saw some people’s photos there were other highlights to be see aSide from the canopy walk, rafflesia and desa cattle farm. We enjoyed the cattle farm and the delicious gelato. Thank you. The lunch was really great. Its just fine though we didnt see something extravagant. It seemed that it was shortened because when we saw some people’s photos there were other highlights to be see aSide from the canopy walk, rafflesia and desa cattle farm. We enjoyed the cattle farm and the delicious gelato. Thank you. Our guide Clemen was AN ABSOLUTE DELIGHT. They were on time in picking us up and made the tour an experience with friends. The Mt. Kinabalu was perfect. The Desa Farm, find the Gelato, eat it. I hope you get our guide, that dude is what made the show 100x better. Our guide Clemen was AN ABSOLUTE DELIGHT. They were on time in picking us up and made the tour an experience with friends. The Mt. Kinabalu was perfect. The Desa Farm, find the Gelato, eat it. I hope you get our guide, that dude is what made the show 100x better. 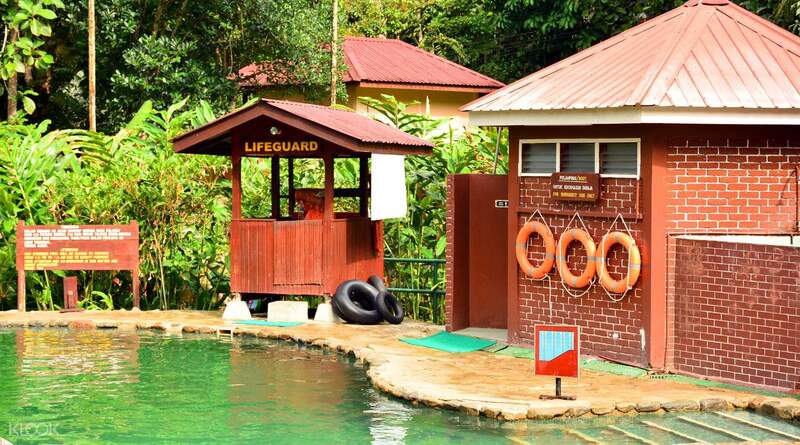 Very convenient way to visit Kota Kinabalu Park, Poring Hot Spring, and Desa Dairy Farm. Prompt hotel pick-up and since there were only three of us in our group, we didn't feel rushed or crowded. Guide was knowledgeable and approachable. Recommended tour. Very convenient way to visit Kota Kinabalu Park, Poring Hot Spring, and Desa Dairy Farm. Prompt hotel pick-up and since there were only three of us in our group, we didn't feel rushed or crowded. Guide was knowledgeable and approachable. Recommended tour. Great experience! Our tour guide was very informative. Don’t forget to bring change of clothes and towels! :) We went to a hot spring and me and my friend forgot to bring our bath towels, luckily our tour guide had some :D He was always ready. Great experience! Our tour guide was very informative. Don’t forget to bring change of clothes and towels! :) We went to a hot spring and me and my friend forgot to bring our bath towels, luckily our tour guide had some :D He was always ready.